135 pages, paperback, The Chess Player, 2009. Only 100 numbered copies ! Originally published in the Marathi language in 1941. This edition is considerably edited and enlarged. Paperback; 135pp; 50 diagrams; 3 other illustrations; some details of native chess with sample games; details of Indian tournaments before 1940; about 20 biographies of leading Indian players with a sample game for each; bibliography of Indian chess books from before 1941. Mr Tamannacharya Padsalgikar's Marathi book Buddhibalacha Khel (Deshi aani Pashchatya Paddhati) (The Game of Chess - Native and Western Methods) was published in 1941. At that time, it was only the 21 st chess book published in India to that time and only the 13 th in the Marathi language. The Marathi language used in the book is obviously from a byegone era. There are some differences between the Marathi used in the book and that used today. I therefore had some difficulty at certain places in understanding what he wrote and translating it into English. Moreover, I have added a lot of new material to the book. I would therefore prefer to call this 'an English Version' rather than 'a translation¹. In Chapter 1 (History of The Game of Chess), certain proper names of chess personalities have been recorded incorrectly. Wherever possible, the translator has taken the liberty to correct them, e.g. the player who published his book in 1495 is 'Vicent' and not 'Vincent' as printed in the original book; similarly the player who published his book in 1497 is 'Lucena' and not 'Livena'. In the list of players (in one place '---, Ruy Lopez, Giashio, Dellamantia, Salvio, ---') 'Giashio' and 'Dellamantia' are shown as two players but he is one player only, whose correct name is 'Gianushio Della Mantia'. Moreover, I could not understand which players he is referring to when he says 'Gerishia', 'Nyvolt', 'Kosch brothers' and 'Loneheart'. The book is in Marathi. So its readers would be Maharashtrians who are expected to be acquainted with their history. But when it is translated into English, it will be read by those who may not know much about the history of Maharashtra in particular and India in general. For the benefit of those readers, footnotes have been added giving relevant information. The original book used English or Descriptive Notation. 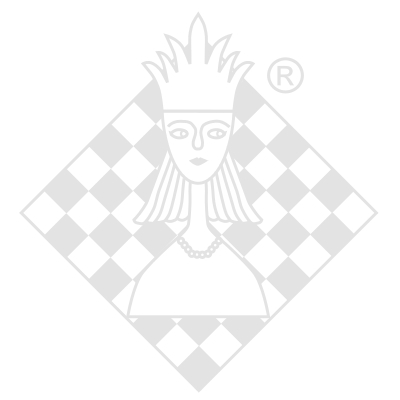 It has been changed to Algebraic as it is now the only notation recognized by FIDE. The only exception made is 'Native Chess Openings' as given in Chapter 4. They have been copied verbatim (in English Notation only) because there seem to be printing errors and I could not understand the relevance of the moves. The title of Chapter 7 as given in the book is 'Selected Games of Hindusthani Players'. He talks about a total of 21 players - 17 Hindusthani plus 4 World Champions who are of course not Hindusthani. The Intention of translating the book is to preserve Indian chess history and therefore the information on the four western players included in the original book (Lasker, Capablanca, Alekhine and Euwe) has been omitted in this translated version. For the same reason I have taken the liberty also to delete the list of Western openings/tournaments/matches given in the original book. The author has given (i) a short biography of each player, (ii) one of his games, and (iii) his picture/photo. He has given all these three for 15 players. For 4 players, however, he has not given a photo (H D Dutt, Prof. N N Maitra, S Venkataraman, and Dr Max Euwe) while for 2 players (Dr Emanuel Lasker and Dr Alekhine) he has not given a game. I have also taken the liberty to add info to certain players' biographical data. The games for the players he has given are all without a diagram. But I have added one diagram to each game to make them more meaningful to the readers. Diagram Nos. 17 and 18 in the original book did not match the description given in the book. I have taken the liberty to replace them with suitable diagrams. Diagram Nos. 19 and 20 were missing in the original book, i.e. they were not printed. Here too I have taken the liberty of inserting appropriate diagrams. When the book was published in 1941, three stars included in Chapter 7, viz. Kisanlal Sarda (d.1934), Vishnu Narayan alias Anna Gadre (d.1930), and Parsharampant Mhaiskar (d.1933), had already left this earthly world and so were not able to see their names in print. After the book was published, the other stars started falling one by one - Morbhatji Mehendale and Balshastri Phatak were first to fall in 1943, then Vinayakrao Khadilkar in 1944, Gopalrao Mujumdar in 1948, N R Joshi in 1950, Baba Bodas in 1955, Prof. Aiurkar in 1958, and so on, and after a few more years that whole chess-obsessed generation, and probably the last such one, had passed into oblivion - thanks to Indians' apathy towards their own history! It must be kept in mind that all the players of that generation had played chess day in and day out only for love of the game and some fame (and not for money and ratings/titles/government awards as is the case today). The book also gives photographs of certain individuals, the list of which has been appended. I am sorry these photographs could not be reproduced. I have been in possession of this rare 1941 book since 1976 but I thought of translating it only now after so many years because of the momentum and stimulus given by IM Manuel Aaron (Chennai), who himself is busy at the moment working on a book on Indian Chess History, and Tony Gillam (England), a chess publisher. I am really thankful to both. I wish to make it clear that this translation work has been done only with the intention of preserving Indian chess history and I thank Mr A J (Tony) Gillam of England for taking up the gauntlet by publishing this book. Tony deserves additional thanks for showing ingenuity in preserving the original cover and size of the book. When I informed Mr Bhaurao, late Tamannacharya's son, about my endeavour to come out with an English version of the book, he was very happy. But it is unfortunate that he died on 7 September 2009 before seeing the book in print. It gives me immense pleasure to dedicate the book to him. Due to the encouragement given by Saraf Shrimant Dadasaheb Gadgil, myself, as a Secretary of the Sangli Chess Society, and my colleague, the late Vishnupant Rajawade, did our best to retain Sangli's importance as a central hub of chess activity by organizing every year chess tournaments of both low and high categories. My colleagues Mr N G Phalke, G S Vaidya and K G Dixit, all Life Members of the Sangli Education Society, insisted that I publish in book form the material I had collected and compiled during these tournaments. Leave aside the book, but Mr Phalke felt that chess lovers should at least come to know the games played here and he made me write a few games in Marathi along with annotations, translated them into English and sent them for publication to The Hindu, a weekly of Madras, and the Sports Editor of The Hindu did publish the same with good compliments. Later I enquired of the Sahyadri monthly of Poona whether they could publish the same games. They agreed immediately and from November 1936 articles containing games along with some other information of the players started appearing in Sahyadri. Along with this, the editor of Maratha, an English weekly, showed his desire to publish chess games in his publication, and so the games started appearing in Maratha too. To prepare and send these games, my colleagues - the main rising (potential) player Shri B P Mhaiskar, Baburao Vaidya (Panvel) and N L Khadilkar, Life Member, Women's Education Society, Sangli - have helped me by sparing some important games from their collection. Mhaiskar's study of the game is like a hypercritical student due to which he not only suggested giving annotations at many places, pointing out good and bad moves in games and the importance of the positions, but also himself wrote a few annotations, due to which, naturally, many readers appreciated the series. Similarly Shri B P Mhaiskar, Mamledar and Sub-Judge, Khandali (Miraj Junior), spared time from his other busy work schedule to make the discussion (or analysis) in this book systematic and thorough. Without this invaluable help, it would not have been possible to complete this book. I decided to write the book after I received suggestions from many readers that the games published in Sahyadri during the past four years should be published in book form and that descriptive information about the western chess system should also be given in this book. The information about the All-India tournaments necessary for the book was provided in detail by the well known Indian chess player Shri Vinayakrao Khadilkar for which I am very thankful. Similarly, to make this book systematic and readable my Guru- like Gopalrao Mujumdar alias Kavi Sadhudas made suggestions from time to time, only out of his affection to me and I simply do not know how to get rid of this obligation. After reading and hearing compliments about the games published in Sahyadri I developed the confidence to write a book. The patrons of the game of chess - the late His Highness Shrimant Sayajirao Maharaj Gaekwad, His Highness Shrimant Rajesaheb Sangli, and Shrimant Babasaheb Ghorpade Sarkar Ichalkaranji - have favoured me by sending their photographs for printing in this book. It is my duty to thank the editors of Sahyadri and Maratha for permitting me to re-use the games and blocks of players. I am also indebted to Shri J V alias Bhaurao Rajwade, Proprietor, Chintamani Press, Sangli, for nicely printing the book as quickly as possible. I have put forth in the book thorough thinking about the science of the game of chess. I request chess lovers to use it to succeed. I thank again from my heart all those well wishers - mentioned and not-mentioned - for helping me in various ways and now I put down my pen.